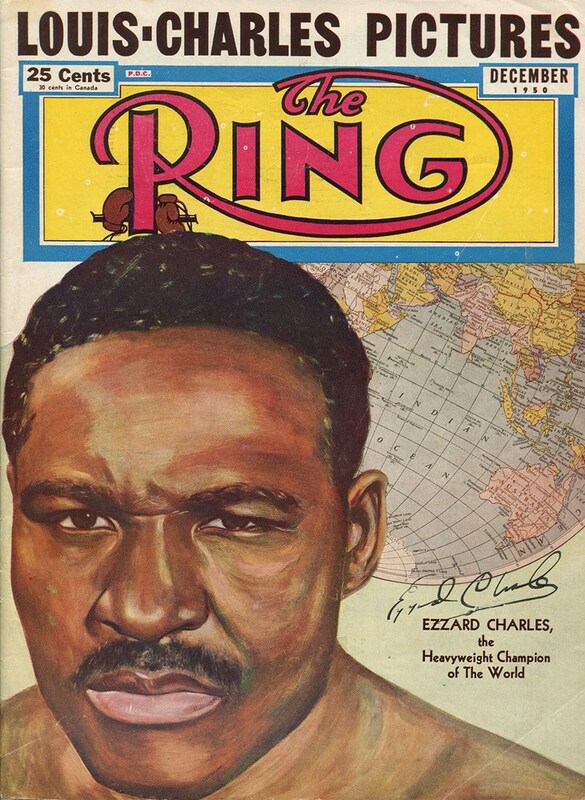 Like anyone who identifies as something of a boxing diehard, I’m familiar with the name Ezzard Charles. 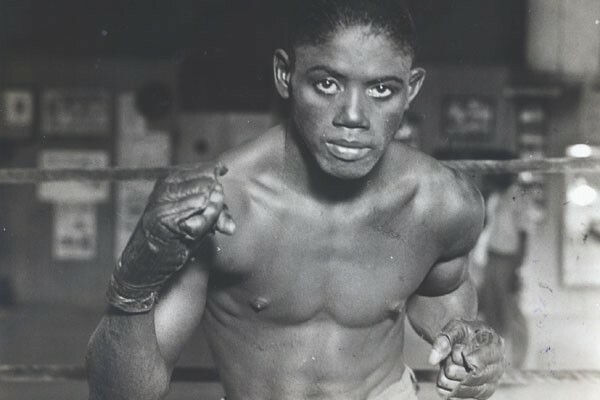 However, if pressed I could not tell you much more than this: that Charles famously beat Joe Louis during the latter’s ill-advised comeback and that he is touted by many knowledgeable scholars of the game as, pound-for-pound, one of the greatest pugilists in boxing history. 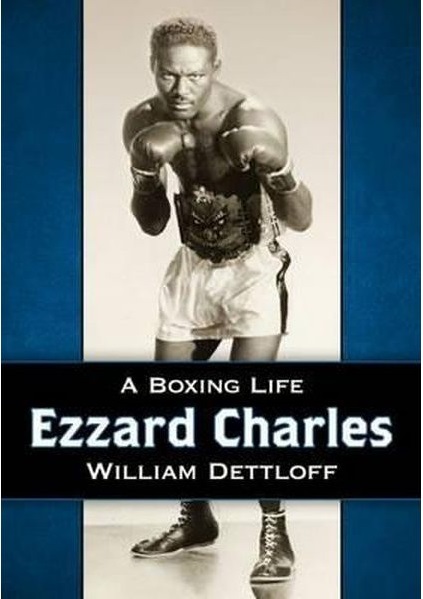 Or, I couldn’t have told you much more prior to reading William Dettloff’s excellent biography of the man, Ezzard Charles: A Boxing Life, the first publication of its kind, a shocking fact given Charles’ standing. Dettloff, a former senior writer at The Ring and now editor-in-chief of the e-magazine Ringside Seat, writes with clarity and authority about the great Cincinnati Cobra, beginning with his early years in Lawrenceville, Georgia. Given the dearth of material available on Charles, save for sepia-toned back issues of fight magazines and grainy contest footage, these early passages of the biography offer a wonderful insight into his formative years and what made him tick. 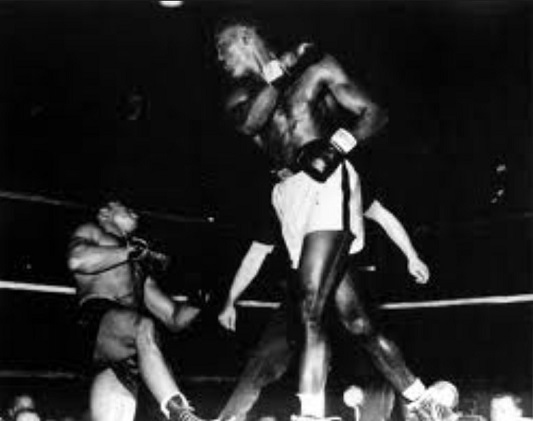 We learn that Ezzard Charles was a timid kid, the prey of school bullies, God-fearing, yet a locally celebrated scrapper, participating in rudimentary backyard boxing matches from the age of eight. “The week before the fight the promoter had one of his guys drive Chocolate through the West End to help build the gate. The car was huge and had the top down and Chocolate sat up high, waving to the neighbourhood kids. They turned down the block Charles and his family lived on, and stopped outside a candy store. 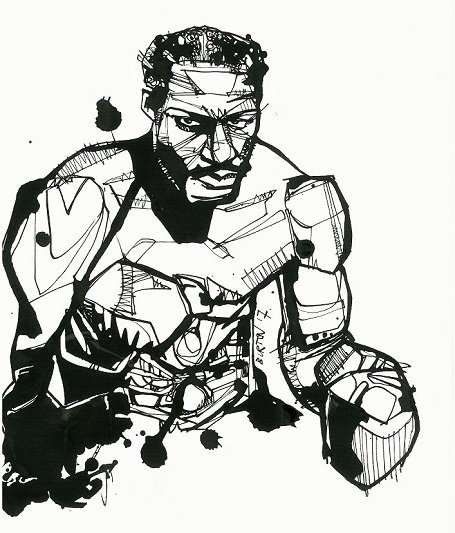 The book is an engaging portrait of a marvellous pugilist who wreaked havoc in the ring but beyond the ropes remained “humble, honourable, hard-working and all the other things you wanted your kid to be when you sent him off into the world.” In other words, a man apart from the mobbed-up figures like Blinky Palermo and Frankie Carbo, prominent fixtures in the Golden, but shady, Age. A young Charles (left) battles Charley Burly in 1942. 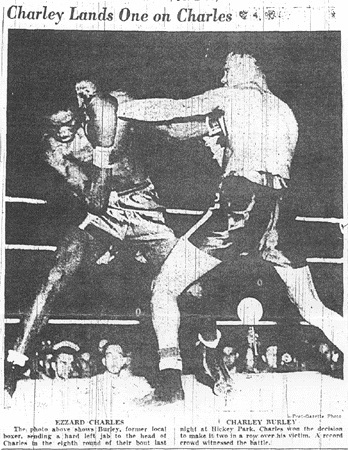 Charles knocks out the great Archie Moore in 1948. 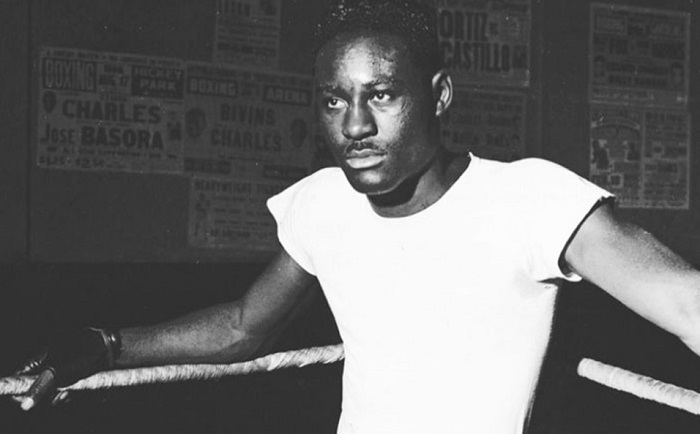 As we know, this early setback does little to deter the gifted Ezzard Charles, and his evolution as a boxer is well documented as he carves out a reputation as one of the best young prospects in America. In the following years he fights and beats a succession of formidable middleweights and light heavyweights, champions and ex-titlists, including Teddy Yarosz, Anton Cristofiridis, Charley Burley, Booker Beckwith, Mose Brown and Joey Maxim. He also loses, to “slick and crafty” Kid Tunero, and to Jimmy Bivins and Lloyd Marshall, the latter two defeats later avenged. Dettloff makes sure we’re aware that in many cases Charles had to overcome significant size disadvantages to have his hand raised. Thanks to the author’s unfailing commitment to detail, the reader is left in no doubt about just how special this kid was in his prime. 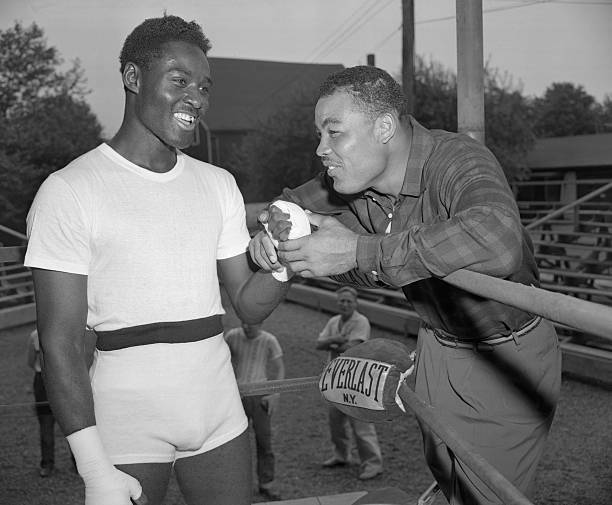 Ezzard shares a laugh with his idol and future opponent, Joe Louis. Charles lands a right on Elmer Ray. All the same, his buddies push him into sparring with the great Joe Louis, who is touring bases in the area and conducting boxing exhibitions. 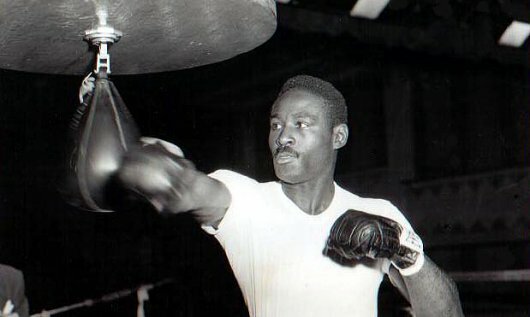 Perhaps it is this experience which convinces Ezzard to resume his boxing career after service concludes, service which includes a stint with a truck battalion in Oran, North Africa, and sees Charles promoted to corporal before being busted back to private. Charles also winds up boxing for the Army in inter-allied tournaments throughout Europe, enjoying predictable success. 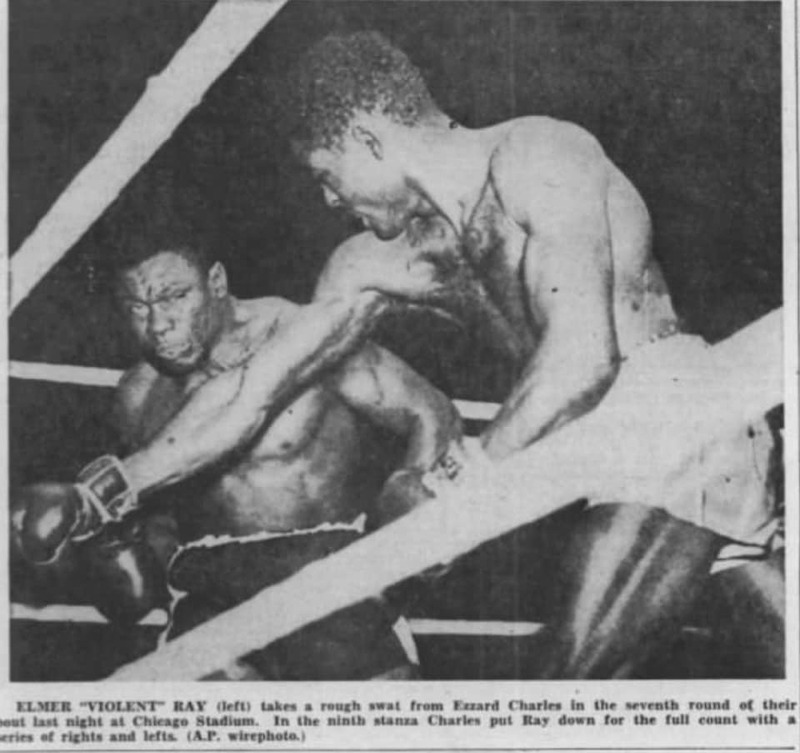 Between 1943 and 1951, a truly stacked era, Charles loses just once, an unpopular split decision to veteran heavyweight and lethal puncher Elmer Ray, a defeat which he avenges by knockout a year later. Incidentally, these opponents – Ray, Bivins, Burley et al – are not glossed over but given a proper backstory, Dettloff making them come alive on the page and increasing our appreciation for Charles’ achievement in vanquishing them. 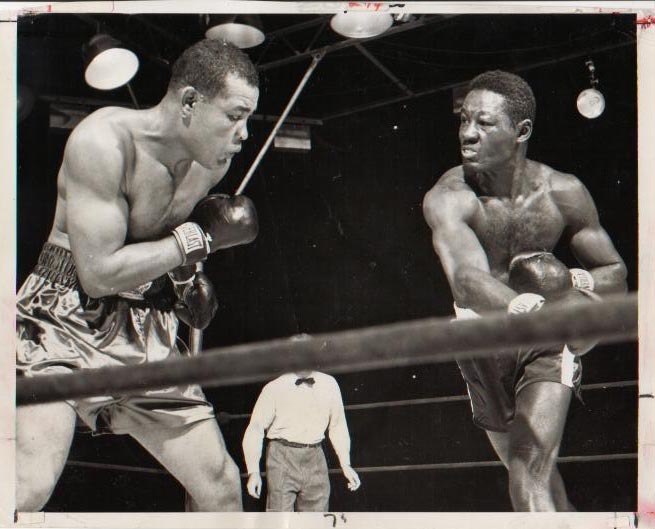 An aging Joe Louis tried and failed to dethrone Ezzard in 1950. The political finagling to arrange title shots in those days is similarly well sketched, and if you think Don King was reptilian, reading the sections which cover the immediate aftermath of Joe Louis’ championship reign is truly eye-opening. I learned much about ‘Uncle Mike’ Jacobs, Louis’ chief powerbroker, as well as figures from the National Boxing Association and International Boxing Commission, organisations which ruled the boxing roost at that time. But Ezzard Charles is so damn good that, despite being avoided to an almost comical degree by light heavyweight champ Gus Lesnevich, he winds up making waves as a heavyweight, capturing the world title left vacant after Joe Louis retired by taking a 15 round decision over Jersey Joe Walcott in 1949, repaying Lesnevich in his maiden defence, and then going on to defeat his old idol, Louis. This streak of success is all the more surprising in light of Charles’ tragic win over 20-year-old Sam Baroudi in 1948, following which Baroudi died after suffering a harrowing beating at Ezzard’s hands. 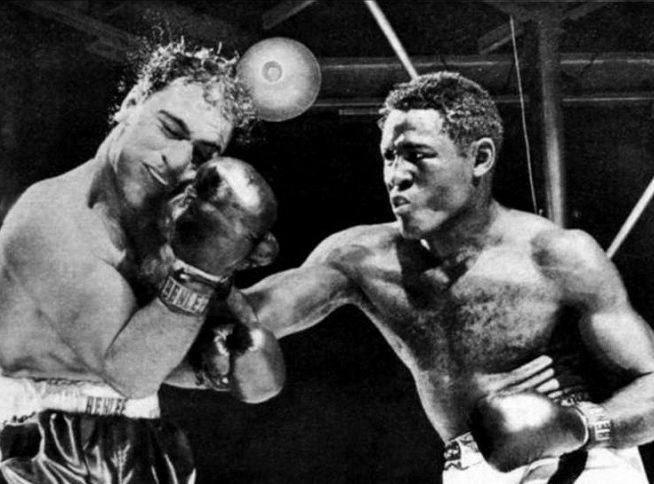 Charles gave the great Rocky Marciano two of his toughest fights. Although heavyweight was mostly a happy hunting ground for the preternaturally gifted Charles, he was an unpopular figure among fans who remained loyal to the great Joe Louis. Dettloff captures the tragedy of an audience booing and catcalling one of the sport’s greatest practitioners as he slips through the ropes, his perceived inability, or unwillingness, to register conclusive knockouts a constant mark against his name. “Fight crowds,” writes Dettloff, “liked blood and guts and gory displays of violence.” Louis had given them crushing knockouts and awesome displays of raw power; Charles was a pugilist of a different stripe. It all adds up to a fascinating boxing biography, one of the most exhaustively researched I’ve come across. And one which illuminates the essence of the sport while sympathetically documenting the life of one of its cleverest exports, with searing passages describing the lure of the Fancy. “Chances were they’d wind up broke, mumbly and punchy like all the rest, but what of it? What else were these slum kids going to do? Work themselves to death in a factory? Shine shoes on a box in Times Square? At least the fight game would get their filthy immigrant blood flowing for a while.